The boardwalk at Okaloosa Island provides a scenic place to play. One regular event is the free fireworks show held every Wednesday night at the Okaloosa Island Pier. Other fun things to do include Gulfarium Marine Adventure Park and Wild Willy’s Adventure Zone. Gulfarium provides access to shows, aquariums and animal exhibits. Kids will also love close encounters with dolphins, penguins, turtles and many more wildlife species. Wild Willy’s is a dinosaur-themed adventure park for all ages. At the park, guests can play 18-holes of mini-golf with animatronic dinosaurs, ride roller coasters, zipline and more. To add even more adventure, check out Kitty Hawk Kites, which offers hang gliding, water tours, surf lessons and wake boarding, to name a few activities. Kitty Hawk Kites also doubles as the boardwalk’s go-to spot for sporting equipment and apparel. Additionally, the boardwalk at Okaloosa island hosts events throughout the year, such as a Mardi Gras Party, Volleyball Week, the Rock n Roll Rodeo and Boardwalk Beer Tour. No beach vacation is complete without seafood, and the boardwalk on Okaloosa Island has three great seafood restaurants. For great prices and award-winning shrimp, head to Floyd’s Shrimp House. At Floyd’s, diners can enjoy all-you-can-eat shrimp for around $20, plus tax and tip. The Black Pearl offers fresh fish and shrimp in a more upscale atmosphere. This restaurant is also well-known for wood-fire premium steaks. The Crab Trap is another local favorite, featuring gumbo, crab legs and hot crab dip. To add a little more spice to your seafood, visit Rockin Tacos. The grill and tequila bar serves a variety of Mexican-inspired favorites, and guests can try traditional fish tacos or branch out with gator tacos. Just because the sun sets doesn’t mean the fun has to end. The Swamp ranks as one of the top places for nightlife on Okaloosa Island. The huge beach club showcases top acts in entertainment and has dance floors and DJs, providing club-goers with a fun-filled late night. Events at the Swamp range from big-name and local group concerts to themed competitions. Ready for more? 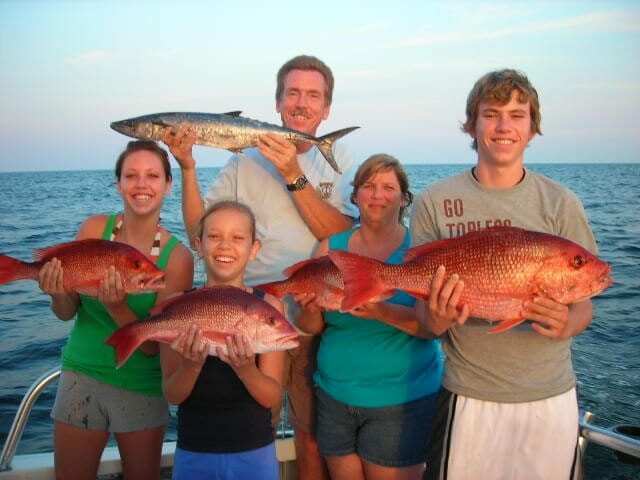 Read about family attractions in nearby Destin.